Delft is steeped in history. It is one of the oldest cities in the Netherlands, and famous for its pottery, picturesque canals, and as the birthplace of the painter Jan Vermeer. 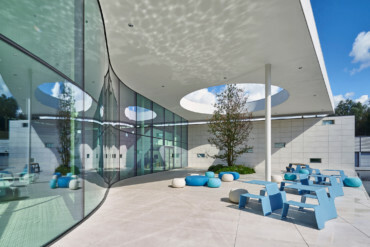 In its latest project, the Reinier de Graaf Hospital, the Dutch firm EGM architecten explicitly references the city’s history, albeit in an abstract way. 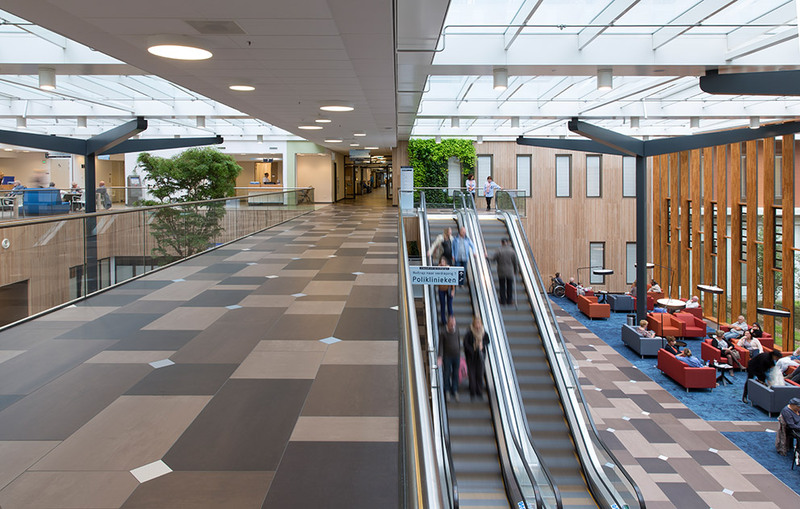 As the project architect Thomas Brouwer explains, the state-of-the-art facades of the Reinier de Graaf Hospital correspond to the classic distribution of the splendid buildings along the historical canals – and the color too is reminiscent of these brick edifices. 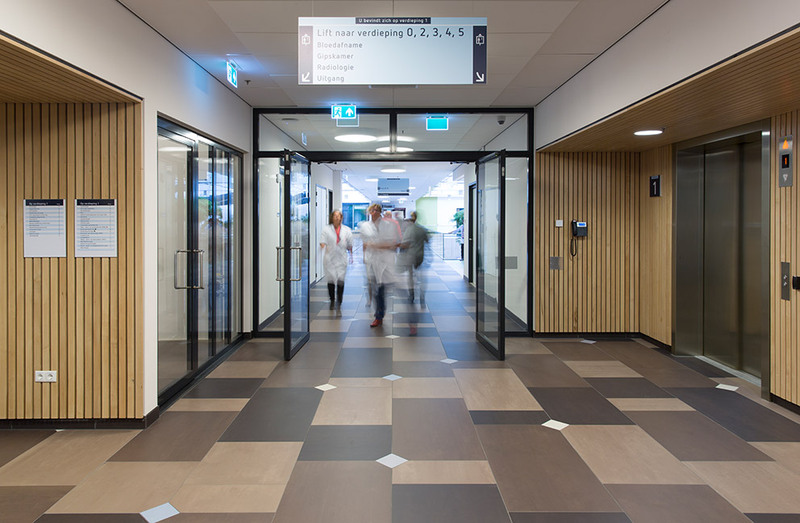 A central connecting corridor from which there is access to the hospital’s various departments, features ceramic tiles by Mosa in various hues of brown. 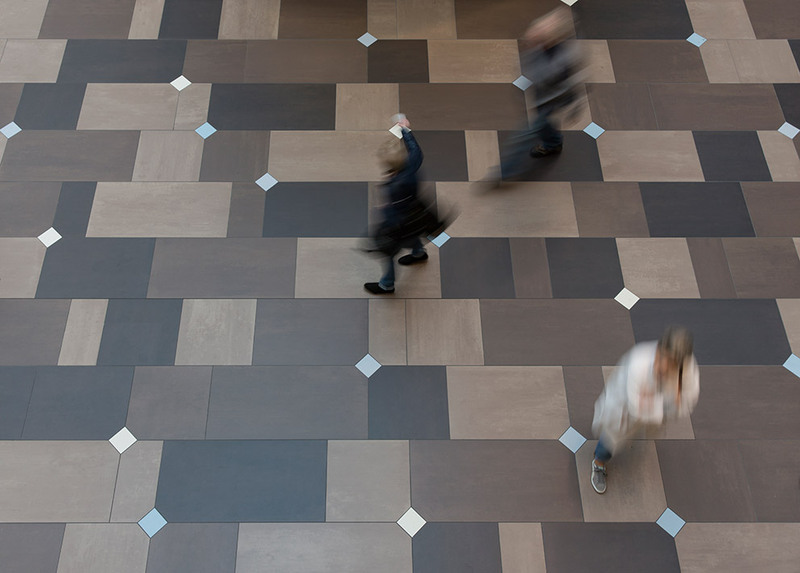 The tiles are arranged in an abstract pattern that is interrupted by small square light blue and white tiles. Interesting is that Vermeer’s painting “Girl with a Pearl Earring” served as inspiration for the pattern of the approximately 4,500 square meter area. 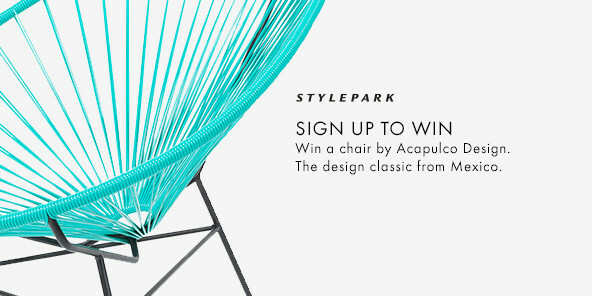 Anyone who knows it will be reminded of its range of colors. The famous work was transposed into a pixel pattern, from which the individual colors were chosen. But even if you are not aware of the art-historical reference, the pattern that has emerged on the back of it makes an extremely varied, lively impression. 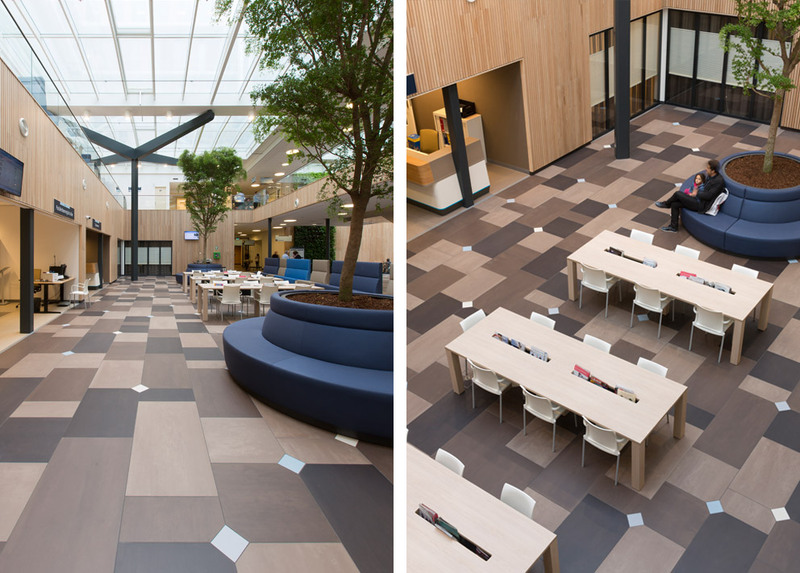 Tiles by Mosa in a total of 32 different colors and textures were chosen for the pattern. 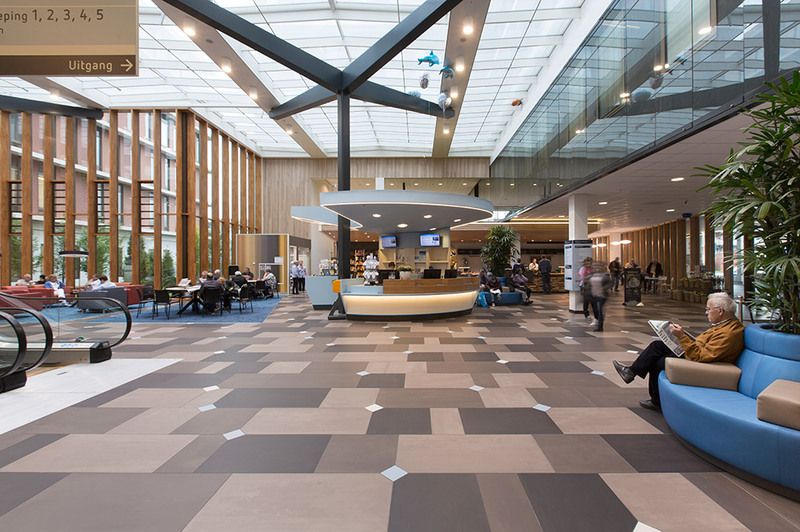 They create a repeat pattern measuring 7.20 by 3.60 meters, which highlights the main corridor and provides a sense of direction in the building, with its numerous departments. 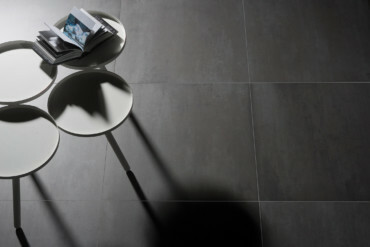 The larger tiles are from Mosa’s Beige & Brown collection, with additional small rhombuses in the characteristic light blue and white of the painting. 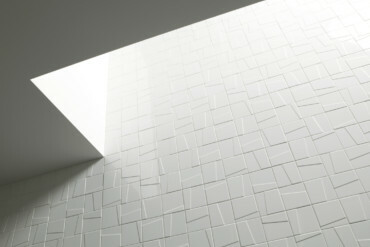 The small tiles are part of the Global Collection by Mosa. 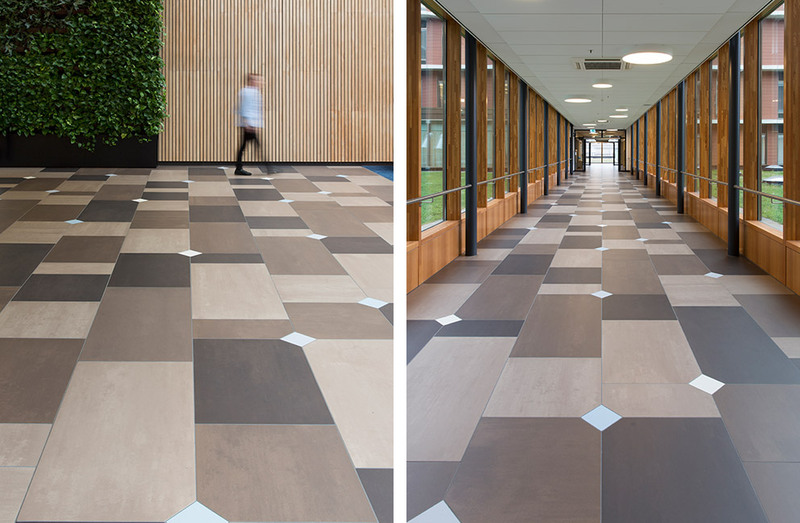 They have the same matt, unglazed finishes as the large ceramic tiles, and are just as hard-wearing.